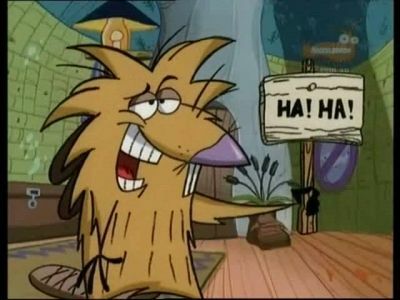 Norbert and Daggett are two fun loving beaver brothers who had to leave home when their mum had a new litter. Now in their own chill palace of a home, Norb and Dag can stay up as late as they want, watch late night movies and eat what they want, but living on your own isn't always a blast... Like most brothers Dag and Norb are close and have their fair share of ups and downs. 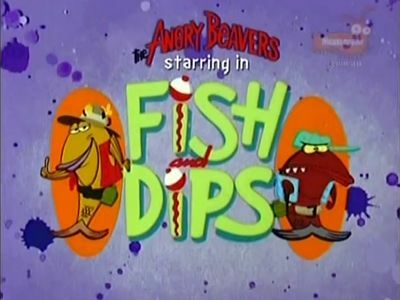 When they're down they sure are a couple of Angry Beavers! 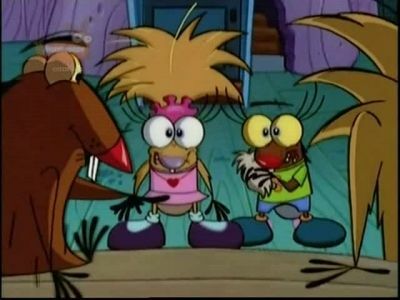 When a ridiculously old tree lands on the Beavers' house, Dagget and Norbert start fighting over who gets first bite. 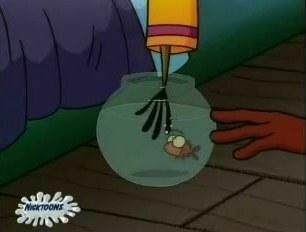 But when they do take bites out of it, they become little kid versions of themselves! 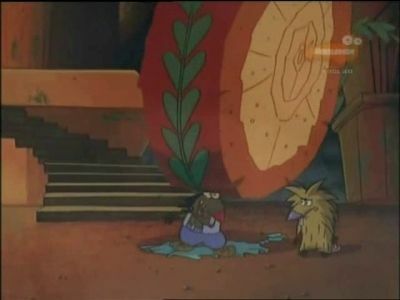 With nothing else good to eat in the house, Lil' Dag and Lil' Norb decide to go after the fallen tree's golden acorn. Daggett and Norbert learn how to mark territory with their scent glands. Their fraternal jealousy kicks off a marathon of territory claiming across the dam, the forest, and the entire country. The boys finally learn their lesson at the hands of some rather smelly lumberjacks. 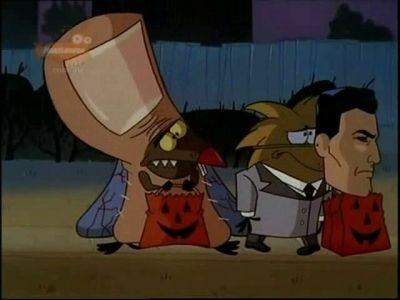 Out trick-or-treating, the Beavers fog up to that scary house on the hill. In an unbelievable stroke of luck, it turns out to be the home of their B-movie star hero, Oxnard Montalvo. Their happiness is short-lived, however, when they discover the place is being taken over by a glowing space object that thrusts them into a wild ""movie"" that combines bits of every bad B&W sci-fi film that Oxnard ever made. 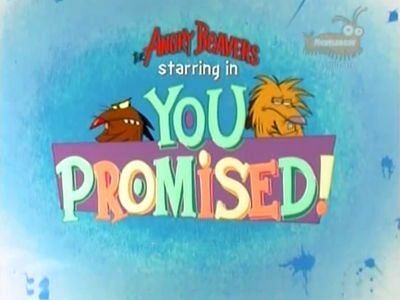 In true B-movie fashion, it's up to the Beavers to defeat the monsters and return everything to normal. 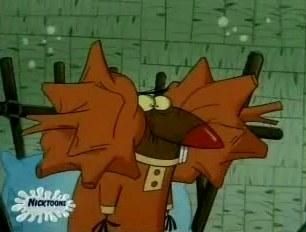 After Daggett commits the ultimate offense against a brother--farting on his head--Norbert vows revenge. 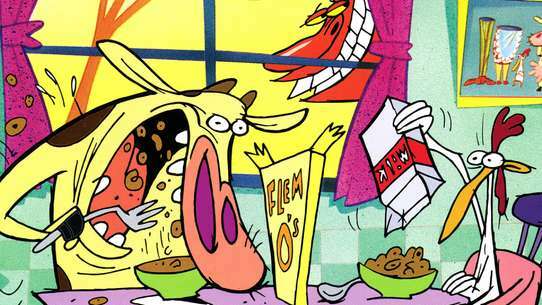 Dag goes mad with paranoia anticipating Norb's retribution. Meanwhile, Norb forgets he even made the threat--or does he? 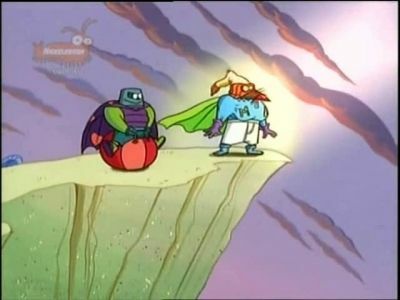 When Norbert and Daggett say the same thing at the same time, they play a game: the first one to speak gets a moogy-pinch. The boys spend the rest of the day trying to trick one another into speaking. Norb befriends Stump (an actual tree stump that the boys chewed down). Despite Dag's jealousy, Norb realizes he hasn't lost a brother but gained a friend. 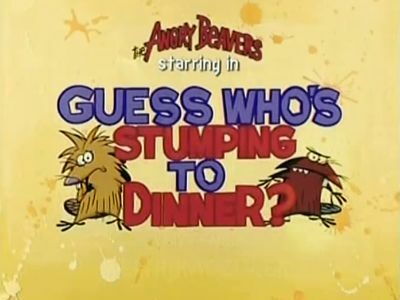 When Daggett stumbles onto a tribe of girl raccoons while out searching for knot holes, the tribe mistakes him for an ancient god. 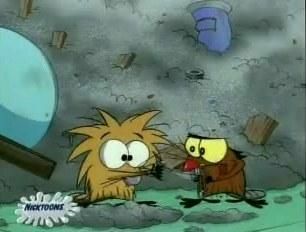 Norbert now has to snap Dag out of his delusions of grandeur, in order to save him from himself and the raccoons. 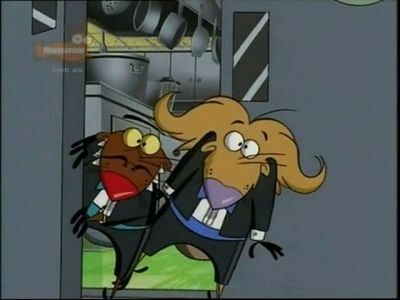 Seeking to earn money for a set of cool rubber horror-movie masks, the Beavers become waiters at a fancy French restaurant. Disaster ensues as the boys misinterpret both the diners' and head waiter's requests. Fortunately for them, it's a French restaurant, so the patrons expect abuse from their waiters. 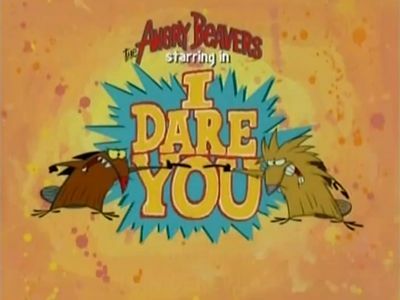 Daggett is blackmailed by the government into becoming Muscular Beaver once more in order to fight a hundred-foot-tall rampaging splinter. Norb is forced to come along as Muscular Beaver's new sidekick. Hilarity ensues. 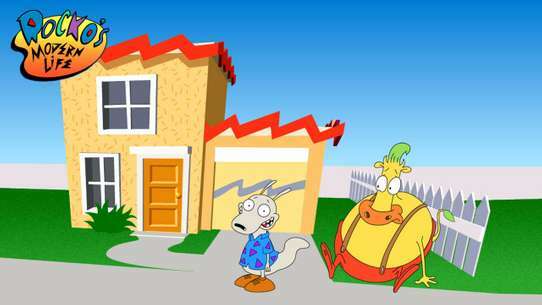 In order to get the last piece of Lickety-Split candy in the house, Norbert promises Dagget than one year later, he'll do whatever Dagg says for a day. 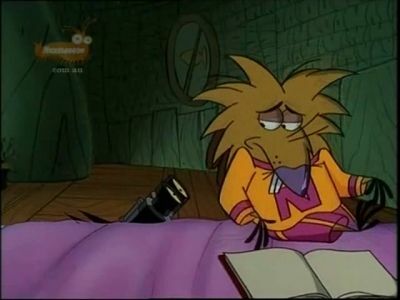 Unfortunately for Norb, Dagget remembers; and if Norb reneges on his promise, he'll have to move to the highest mountains and wear an itchy sweater for the rest of his life! 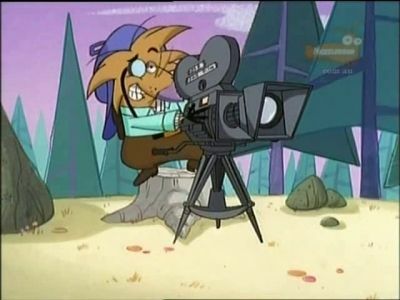 The beavers discover an old trunk with 16mm film inside. They assume that they have discovered Oxnard Montalvo's unfinished horror film masterpiece, and set about to complete the film as an homage their hero. Once finished, the film is not exactly what they expected. 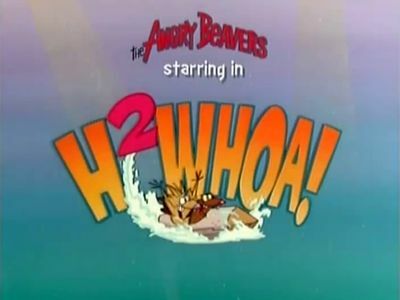 The practical joking Beavers get a taste of their own medicine, when the tribe of girl raccoons from Mighty Knothead' haze the boys as a right of passage. The Beavers squabble over who is best friends with Stump (their tree stump friend) and Norb reveals hurtfully that Stump was "transplanted." When a confused Stump goes off in search of his natural family, the boys follow after him with comedic results. 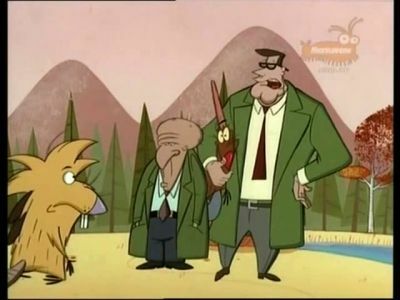 Daggett is mistaken for the long-extinct Horned Beaver by two bumbling scientists. 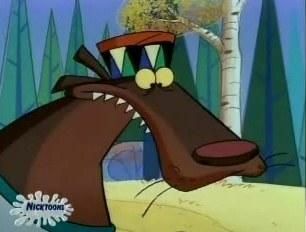 Their zeal to protect such a rare animal quickly becomes dangerous for everyone around Daggett. Daggett and Norbert vie for their baby sisters' affection when the two girls are left in their care for the weekend. While self-proclaimed child care expert Dag maps out a detailed itinerary of ""fun"" stuff to do, Norb kicks back and lets them do what they want. Neither plan works, and pandemonium reigns. 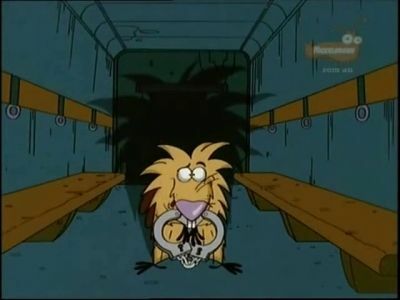 When Norbert takes the rap for Daggett and gets sentenced to some "hard time" at the zoo, a guilt-ridden Dag vows to break him out. The zoo, however, turns out to be an idyllic, Club Med-style resort for animals. 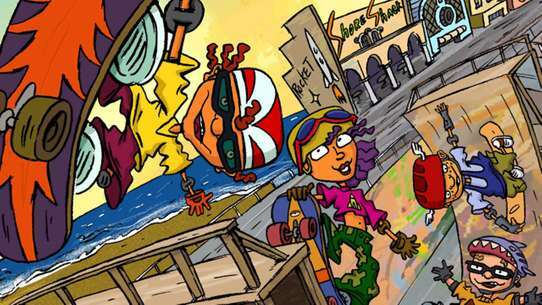 Dag's various harebrained rescue attempts eventually "succeed," totally destroying Norb's zoo paradise. NO! It can't be true. He was so young, struck down in his prime! 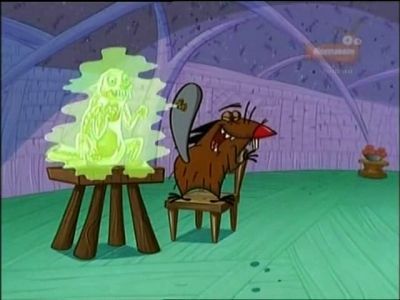 When Norb comes down with dreaded beaver disease, Stinky Toe, Daggett will stop at nothing to find a cure. Dagget and Norbert find themselves stuck with Bing, aa motor-mouthed, incredibly clingy little lizard who just won't shut up, and just won't go away! 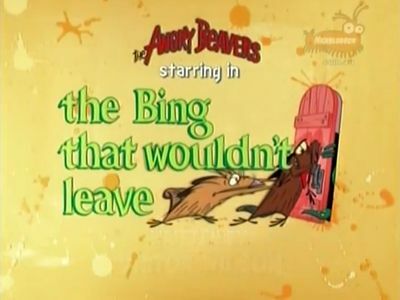 The Beavers do everything in their power to ditch Bing before his yammering drives them up the wall. The ancient legend from the grey mists of earliest time tells of a scaly terror called 'Old Gramps', a fish so large he can swallow a Swede. When Dag runs smack into Old Gramps, the time has come to find out the truth. The Beavers wake to find their dam filled with sleeping wolverines. They must maintain silence at all costs to try and escape being devoured by the slumbering carnivores. 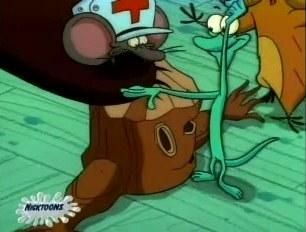 Dagget becomes Muscular Beaver yet again, and this time he's in the clutches of "Toe-Bot". 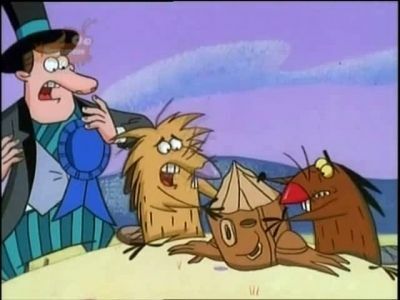 Norb's planning a big party, but he reluctantly becomes Baron "Once-Bad-Then-Good-Then-Bad-Again-Now-Good-Again" Beaver in order to "save" Musuclar Beaver. Fortunately for Norbert, when his guests (Treeflower, Barry, Bing, Truckie, and Stump) show up, they think it's a superhero-themed costume party, and become "The Justice Guys (And One Gal)" in order to help fight Toe-Bot. Strange things happen to the beaver brothers' forest friends when Norb gives Dag an organizer in which to list those who have wronged him. A monster storm washes the Beavers out of their dam and strands them in a scary Dixieland bayou. 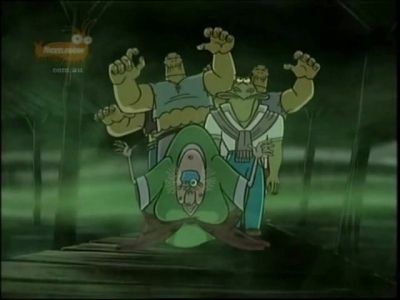 At first, Norbert dismisses Daggett's fears about the swamp, but soon the two are running for their lives, pursued by zombies, a Swamp Witch and a man with an alligator head who want their beaver teeth for a special voodoo potion.